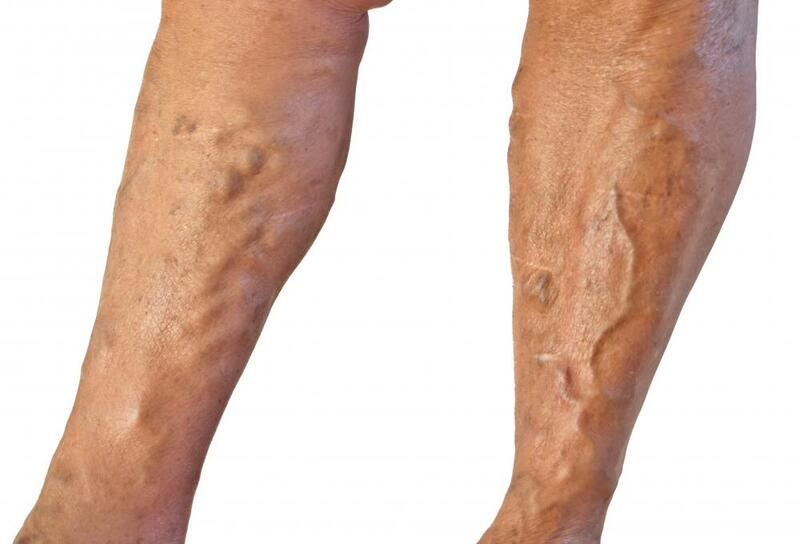 Massage should be avoided where there are varicose veins. People with a rare medical condition or someone taking medication should consult with a healthcare provide before scheduling a massage. People with certain conditions like osteoporosis, arthritis, and autoimmune diseases should avoid deep tissue massages. People experiencing a fever should not get massages. A man getting a massage. There are a number of situations in which massage is contraindicated, meaning that it is not recommended. In all cases, it is important to disclose any underlying medical conditions and concerns you may have to your massage therapist, so that he or she can adjust the session to fit your body and needs. It is also a good idea to discuss it with your healthcare provider, as he or she may believe that massage is contraindicated for you, or the provider may have recommendations for modalities which would be best suited to your condition. With all of the following conditions, massage is contraindicated: fever, infection, broken bones, infectious disease, high blood pressure, tumors, open wounds, muscle ruptures, heavy bruising, herniation, burns, myositis ossificans, thrombosis, and bleeding disorders such as hemophilia. It is also not recommended for people with severe heart conditions and some skin infections. Some gastrointestinal complaints can also be complicated by massage, and at the very least, it can be uncomfortable in these situations, so you may want to discuss such situations with a therapist before you begin. In some cases, it is safe to get massage, but the therapist should avoid deep work. These situations include when it is performed on the elderly, along with people who have osteoporosis, arthritis, and rheumatism. Deep work is also contraindicated for people with autoimmune diease, Hodgkin's disease, recent scar tissue, and conditions like arteriosclerosis. There are some conditions for which massage can be beneficial for some people, but not for others. For example, some medical professionals say that it is contraindicated for cancer, while others recommend gentle massage for cancer patients. Joint dysfunction can be greatly eased by this practice, but it can also be exacerbated, and likewise for some psychiatric conditions. It is also not recommended directly at the site of varicose veins. Some people believe that massage is contraindicated for women who are menstruating. This is not the case; in fact, it can sometimes help with cramping. However, as a courtesy, you should ask the massage therapist if he or she is comfortable working on you. It can also be highly beneficial for pregnant women, when it is offered by a provider who has been specially trained to offer it. What Is a Therapeutic Massager? What is an Ice Massage? What is Electronic Muscle Massage? I was taught that massage is contraindicated in cancer that is not encapsulated. But in recent years I have been told also that if there is nothing they can do, massage can be comforting. Times change and there are several theories. Perhaps not that cancer 'spreads' with massage, more that massage promotes increased cell division through a stronger blood flow. so the more you massage, the more blood (with nutrients in it) get taken to each cell in the body. massage is increased stimulation with promotes cell division, so cancerous cells have already mutated and you're going to encourage them to divide even more rapidly with massage. Over the past 23 years, I have had massage therapy for a number of conditions, as well as having worked in offices where our patients had massage therapy. Massage is very beneficial to the body, and mind, in most cases. I have known on occasion a patient that just was too uncomfortable with the notion of someone touching them, or of them being undressed - but always modestly covered- so they did not benefit as much due to their tension over the situation. I believe the problem in cancer lies not with the of moving blood around but the movement of lymph and the risk, however small, of spreading the cancer. it is only contraindicated to a trainee i.e., somebody at a beauty therapy school or on a massage course in college or university, as you have to be qualified in cancer massage as they wouldn't retain the knowledge base of the psychological and physiological problems of cancer. some people believe massaging a cancer patient "spreads" cancer cells but i think this ridiculous as if it was true doctors would strongly promote that they were to do no exercise or to keep joint movement to a minimum i think massaging a cancer patient is extremely beneficial. hope i helped! Oh, I'm so glad that I don't have any of those conditions -- I love my massages way too much! @streamfinder -- Apparently this is an ongoing concern about massage and cancer. Doctors have thought in the past that maybe the blood stimulation provided by massage could cause the cancer to grow and spread more rapidly. However, there has not been any totally conclusive evidence, and studies are ongoing to try to see if this is true or not. There is a form of massage called oncology massage, which is actually recommended for many cancer patients. Oncology massage often includes aspects of many different forms of bodywork, including acupressure and reflexology. However, only massage therapist trained in oncology massage therapy techniques are qualified to provide such a massage, and it still may be contraindicated for some people. Out of curiosity, why would massage therapy be contraindicated in someone who has cancer? I would think that it could be soothing and beneficial. Can anybody tell me what the rationale behind this is?